We are specialists driveway builders for new drives, driveway surfacing and resurfacing, driveway block and stone, brick and concrete driveways covering Sheffield and Chesterfield for residential and commercial buildings and homes. If you are considering a new drive or resurfacing your current driveway you need to choose the material first. Loose stone, which is inexpensive compared to asphalt, tar and chip, or concrete. Loose stone is appealing but can be awkward to walk on and difficult to remove snow from. Our driveway pavers are experienced tradesmen and can pave your new driveway with any materials and styling. Need A New Driveway In Sheffield? If you are in need of a new driveway in Sheffield or a new driveway in Chesterfield we have a wide range of styles and colours available. Fill in our contact form or telephone us on: 01246 419111. Established over 25 years we are experienced with all types of drive and hard standings. G Build are Sheffield's premiere driveway pavers. We also offer driveway resurfacing and new driveways. 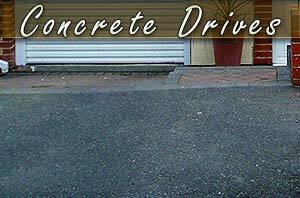 Our driveway builders can resurface any existing driveways. 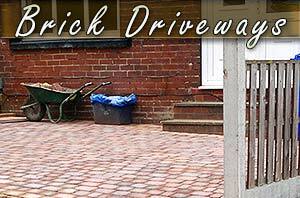 We are expert brick driveway pavers and stone driveway pavers in Sheffield. Get in touch to get your free driveway quotation. From traditional man made paving slabs to natural stones, rustic cobble and classic clean lines. Traditional or contemporary at G Build you can choose from our extensive range of styles and colours to suit most budgets. All brands and styles of driveway resurfacing and paving available to compliment your property. 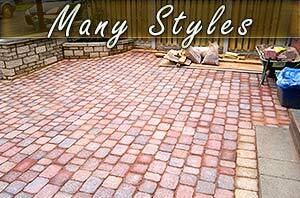 We are expert drive block pavers in Sheffield with many years experience in all types of blocks, stones, concrete and bricks for paving driveways and pathways . If you require assistance in deciding on what is most suitable for your driveway please contact us. We will advise you based on your properties appearance and your budget. For concrete driveways in Sheffield or concrete driveways in Chesterfield call G Build, your local driveway specialists for a free no obligation quotation. We are based in Chesterfield right next to Sheffield and cover South Yorkshire and North Derbyshire. G Build have an extensive range of block paved drives available. We custom design every driveway to improve the functionality and appeal of your property all laid by our expert driveway builders. "Block paved driveways are a fantastic way of enhancing the look of your property, as well as being practical." We have a wide range of block paving available in many colours and sizes to choose from. Whether its a standard herringbone, cobble style, rumbled blocks for older properties or the modern random patterns, G Build are confident we have something suitable for everyone. A more economical way of creating a new drive can be using gravel or chipping as a top finish. All of our driveway options are laid onto the recommended compacted stone base and come with a full guarantee. We can also add edging to your drive's perimeter to contain the gravel and enhance the look of your drive using block paving or cobbles improving the appearance further. Call us on 01246 419111 or visit our contact page for a free quotation. 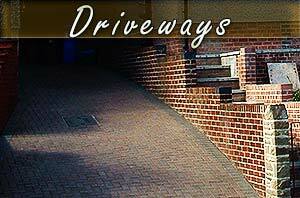 Driveway builders Sheffield, Chesterfield brick drives, block paving Sheffield, Sheffield driveways, concrete, brick, stone, G Build, DRIVEWAY BUILDERS SHEFFIELD.